YOU ARE GENETICALLY WIRED TO WIN. Seriously, each of us have been kissed with the success of God, since we were made in His image and likeness. The K-Gene asks you to forsake the thoughts of despair, and embrace the reality of your Kingdom heritage. Inheritances can only be released to the mature. This book empowers you with principles that help you access your identity and walk into your destin… y. Using practical examples, Apostle Wells unpacks biblical revelations meant to unlock your inheritance. 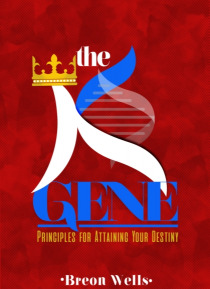 This book sheds light on important concepts like: Activating The K-Gene Exploring Kingdom The Power of Being Identity vs. Functionality Implementing the K-GeneIf you are looking to finally settle the questions of your identity and purpose, then The K-Gene will be a timely read.